Biff's customers love their canine friends. 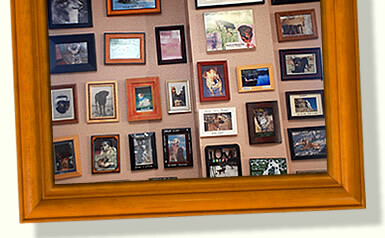 They bring in framed pictures of their family pets and place them on the walls of Biff's for everyone's enjoyment. Biff's Bagels supports the local no-kill animal shelter. So many of our furry friends are without a home and need our help. © Copyright 2011 Biff’s Bagels. All rights reserved.